Low volume sewing is pretty hot right now. For me, one of the biggest challenges is finding low volume prints in my stash. It's probably pretty obvious that I tend to be attracted to color saturated prints. 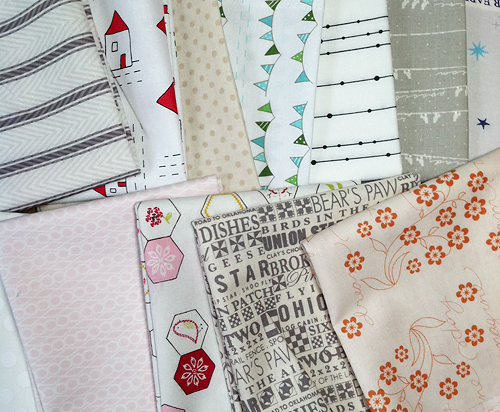 Amanda from Westwood Acres sells a low volume bundle in her shop on Etsy. She cleverly named it "Inside Voices", I love that! Amanda asked if I wanted to play around with one of the bundles, and I thought it would be a great way to jump right into the low volume trend. I was throwing around a few options for this bundle. I was this close to pairing it with some other prints and making a zigzag quilt using this technique by AmandaJean of Crazy Mom Quilts. 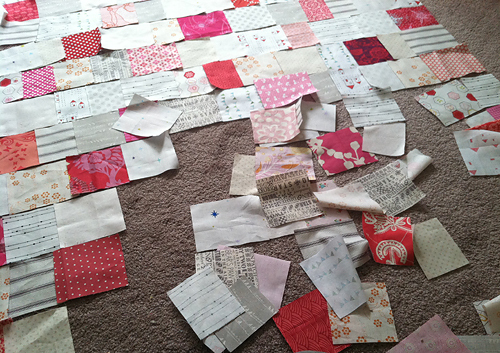 In the end, I started thinking about my Stepping Stones quilt. I decided to make something using the same basic construction. Columns of fabric that are equal in width, but various lengths. These pieces are from 3" to 4.5" long and 3.5" wide. I laid it all out Saturday morning. Went to lunch with the family. Came home to this. "Who me??" Does anyone else have a dog that likes to roll all over your projects. 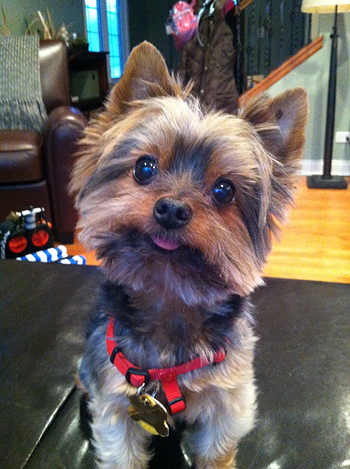 It's a good thing he's so cute. 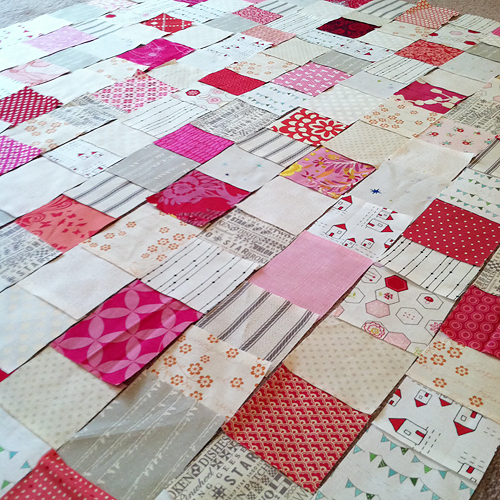 I'm hoping to have this little baby quilt finished up by Valentine's Day. Can wait to share it with you!